Someone you know just graduated from college or just got that big promotion! They can be reminded of your gift everyday. 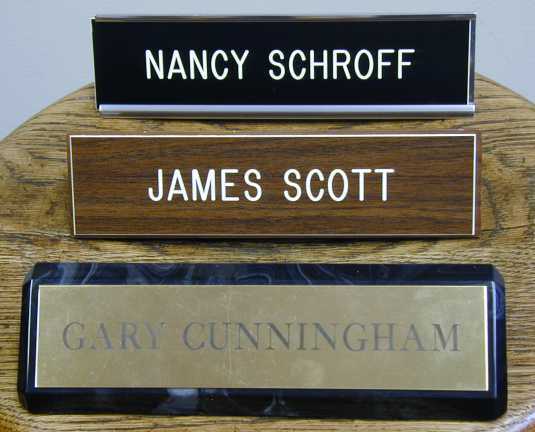 The handsome deskplate has their name on one side and a small discreet plate on the back with the givers name. Usually made of walnut or oak, marble and brass.